Sore throats are no fun! Especially when they happen to our little ones. Fortunately, sore throat remedies for kids can be easy and effective, and generally get your child through the worst of the pain without medical treatment. Keep in mind that a young child, especially those under the age of two, can’t really explain that they have a sore throat. You’ll need to watch for signs; like a child who cries during feedings, tries not to eat, or tries to drink but then starts to cry. In most cases, a sore throat is caused by a viral infection. 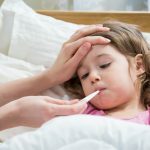 Kids can get these infections through many ways, including someone coughing near them, or touching something that has come in contact with the virus. Sore throats are usually not a serious condition. 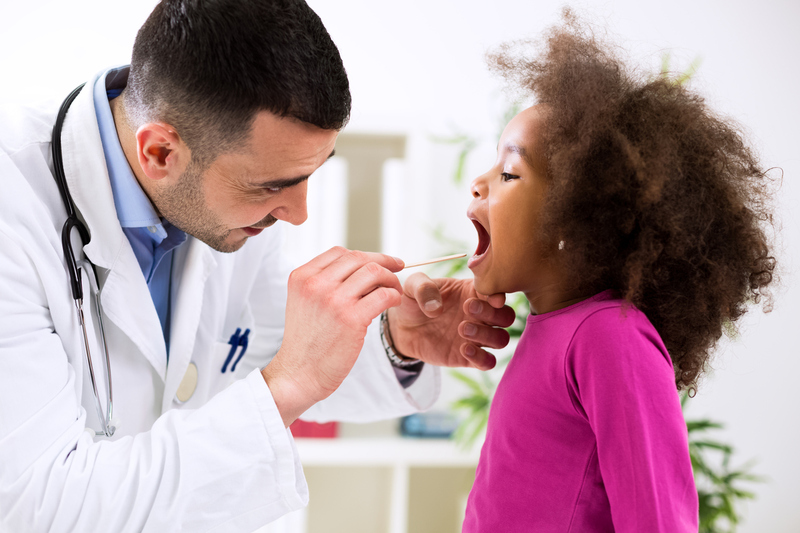 You probably don’t need to see a doctor unless the sore throat is severe and accompanied by fever, your child has difficulty swallowing or breathing, there is pus in the back of your child’s throat, or swollen tonsils are blocking the throat. Bacterial infections, such as strep throat or whooping cough, account for just a small percentage of sore throats. If your child does not display any of the symptoms above and has had a sore throat for less than a week, you can likely treat them safely at home. Of course, if you have any health concerns or questions always check-in with your doctor first before beginning treatment. Even if a sore throat isn’t serious enough for a trip to the doctor, it can still be painful and make it hard for your child to eat or sleep. Here’s some home remedies for sore throat you can try to help soothe the pain and irritation and get your little one back on their feet. We asked a doctor, a mom, and a naturopath how to soothe a sore throat. Their answers make up a complete guide to sore throat remedies for kids. Lots of helpful treatment options you can try! Pain relievers such as acetaminophen or ibuprofen can help. Just be sure to check the dosing carefully and administer the correct amount for your child. Try placing a humidifier in your child’s room. The warm air improves breathing and can ease a dry, sore throat. Throat lozenges can also help (for kids age 4 and older). Get plenty of liquids. Even though it might hurt to swallow, the wetter you can keep the throat, the better your child will be. Drinking warm liquids can ease a sore throat. Try having your child sip warm water, herbal tea, or chicken broth/soup. Cold works too. Ice pops or popsicles can ease soreness. Serve soft foods that are easy to swallow (jell-o, pudding, yogurt, applesauce, soup, etc.). Gargling with warm salt water is a proven sore throat reliever. Try mixing ½ teaspoon of salt in a full glass of warm water and have your child gargle and spit out the solution. This only works with kids old enough to gargle effectively, usually 4 years and up. Honey* and lemon are great for sore throats, particularly together. Lemon juice dries up congestion, and honey provides a soothing coating. You can mix together a tablespoon of each, microwave for 20 seconds (test to be sure it’s warm, not hot) and have your child swallow the mixture a teaspoon at a time. Garlic is a fantastic antibacterial agent that works to kill bacteria. This can help heal a sore throat faster. Crush cloves of garlic to form a paste, then simmer this in boiling water. Once the water has cooled, offer it to your child, or add it to vegetable juices. Ginger is also one of those simple remedies that has been around for ages. Older kids can actually chew on a piece of ginger, swallowing the resulting juice. Smaller kids can be given ginger in a cup of warm water, sweetened with honey*. ** Honey is NOT safe for infants under one year of age. SHARE these effective sore throat remedies for kids on Facebook and Pinterest by clicking the buttons below.